To participate in the survey, check for a link on the High Peaks Facebook page or website, www.nchighpeaks.org. You may also go directly to: https://www.surveymonkey.com/r/238T5PM. The survey has only seven questions and should take only a few minutes to complete. Please participate and let us know what programming would meet your family’s needs while encouraging other families with kids to explore the outdoors. 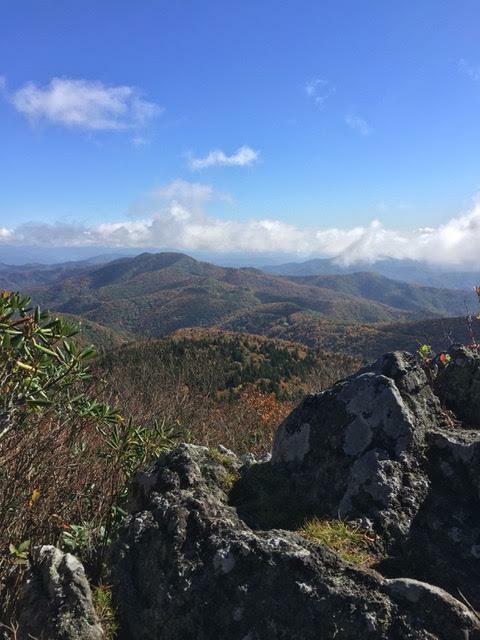 High Peaks is a Yancey-based hiking club that aims to promote outdoor activities and appreciation of the area’s outstanding natural environment. The group hosts monthly hikes as well as trail maintenance work days on local hiking trails, many of them in the Black Mountains. Photo Info: High Peaks hopes to entice more youth and families to get outdoors on local hiking trails and enjoy views like this from the Mountains-to-Sea Trail.